HAS DEPOSIT! 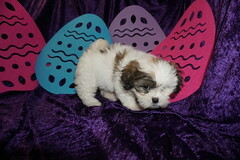 Sabrina Gorgeous Female CKC Havamalt Make This Little Angel All Yours! 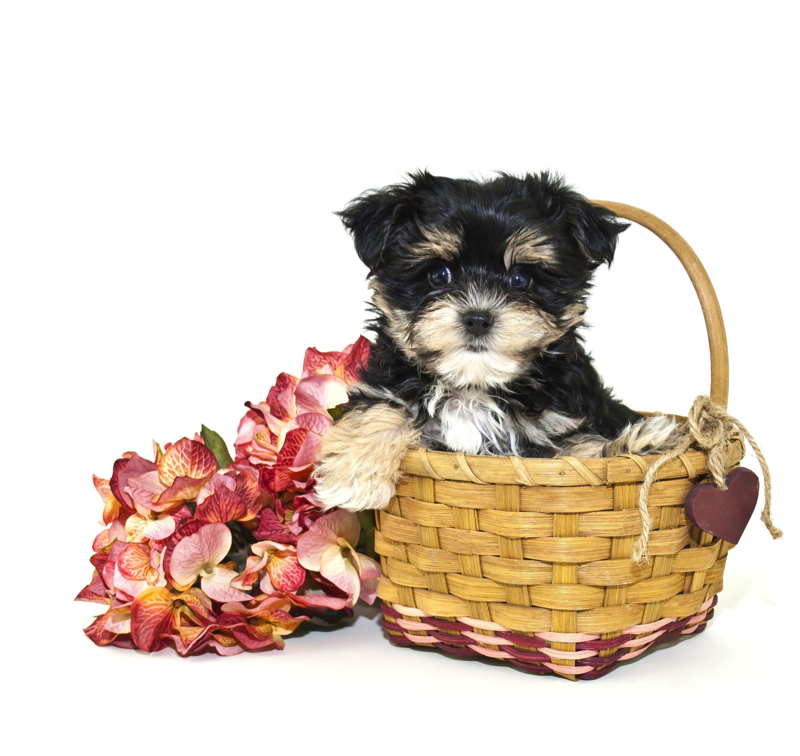 Pippy Longstockings & Bam Bam Are Excited to Announce Their CKC Havamalt Litter! Introducing Sabrina! This classy, little head turner can’t wait to meet you. Isn’t she a dream? You can tell that she knows she is a cutie after all she thinks she’s mama favorite! Sabrina will be sure to come with a lifetime of puppy kisses for her new fur-ever family. Don’t miss out on a chance to make this little angel all yours. Puppies like this don’t come around often. What a cutie pie. She has been prayed over for finding her forever home. Hey I’m Sabrina and one of three litter of four. Just Look at my gorgeous white hair with black brindle color evenly marking my face just look how the color is over both of my ears and eyes and a white blaze going up between my eyes. My baby doll face and button nose makes me such an adorable baby girl. I have my tail. My litter theme is from Charlies Angels and I am the adorable Sabrina. Just as Charlie can always count on me so can you! My mama Pippy Longstockings is a gorgeous 10 lb Havanese and My daddy Bam Bam is the sweetest 6 lb Maltese making me a first generation Havamalt. My estimated adult weight is 8-10 lbs. If you think I’m the one don’t wait too long because I won’t last long! « HAS DEPOSIT! 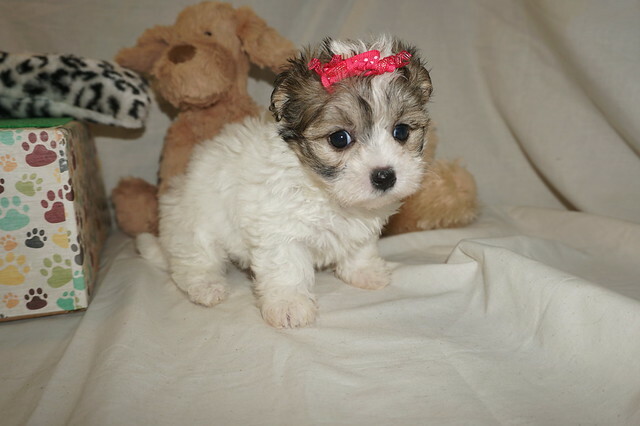 Jill Gorgeous Female CKC Havamalt Are You Ready For Endless Love?